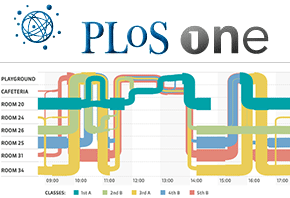 A new paper has just been published in PLoS ONE, on the properties of contact patterns between children in a primary school. Schools are epidemiologically important environments, and access to empirical contact patterns can empower modeling efforts as well as design strategies for containing the spread of infectious diseases. The paper reports on our first large-scale deployment in a school environment.